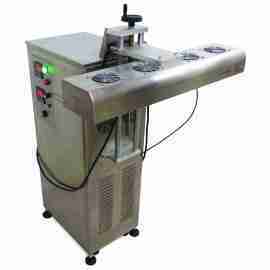 Our best seller induction cap sealers are Table Top and Production Line Cap sealers. Induction cap sealers are used to seal foil lined closures to provide security and leak resistance. Applications are in the food, beverage, dairy, pharmaceutical, nutraceutical, healthcare, cosmetic, chemical, petroleum and other packaging industries. This table top cap induction sealer is compact and versatile sealer. 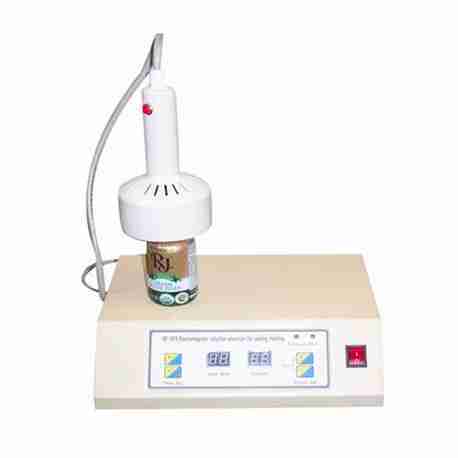 It is suitable for use on various types of bottles and cap sizes. Position the sealing head on the cap and press the button. When the seal is complete an audible tone signals you to move on to the next container.